THE trouble with conventional wisdom is by the time it becomes widespread it is passé. Take the old saw that a mainstream publisher will never pick up a self-published author. Not true now. Now it was certainly true when self-publishers were largely restricted to print and the heritage publishers hated the upstart, though largely ineffectual, competition. Their sales agents would warn bookshops that any book printed on 80gsm bond was written by an indie The irony was that 80gsm bond was much superior to the cheaper paper the mainstream publishers used. In other words, if a novel is on quality paper it has to be shite. Five or 10 years ago, every aspiring writer knew self-publishing was the death knell for securing an agent or mainstream publisher. By now it is conventional wisdom and deadest wrong. 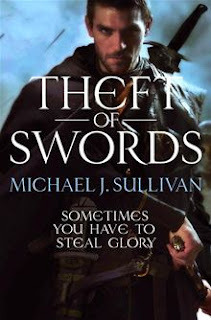 Most are sick of hearing about Amanda Hocking so let’s try the name Michael J. Sullivan. Last year, Michael got picked up by the Hachette; ooh, that’s gotta hurt. But no, Michael was signed for a six-figure sum. Every indie seems to be picked up for six-figures. This is not illuminating for us wannabees as it could be anywhere from $100,000 to $999,999. I hope for Michael’’s sake, it was the latter but I suspect not. ‘I sold 70,000 books (across five titles) of my Riyria Revelations – you owe me for that plug, Mick – from April 2009 – August 2011 before signing with Orbit (fantasy imprint of Hachette Book Group) re-released my six books as a trilogy consisting of Theft of Swords, Rise of Empire, and Heir of Novron’ – more debt, Mick. I am not sure what Michael sold his books for but that is 30,000 copies a year he flogged, a bloody good effort. The interesting thing is Michael insists on making a good case for not accepting the offer. I do not know how many of the many have turned down six figures; I would suggest it is few. Michael’s next take on publishing today is spot on. This is undoubtedly true. In Australia, the print-run of a new author is 3000 copies and few sell 1000. Of course this is in a collapsed period of time. Two months, if you are lucky, and it is off to the remainder bin for you. Michael says indie sales of 5000 a year make the Big Six – soon to be Five – stand up and take notice. No longer any need to play eeny, meeny, miny, moe with the slush pile for the big publishers. No need to pick a winner; the stats are there. The problem for the big publishers is what do they have to allow their Michael J. Sullivan to outperform the next Michael J. Sullivan. Their marketing models of on-site marketing at bookshops with limited advertising and review support are dead in the internet waters. Where do they go from here?